Valentine’s Day is a day for lovers, but some might feel Cupid’s arrow hitting you in the wallet instead of the heart. Just remember that it is not about money; you can stay on budget while showing your true love how much you care. In a world where snappy marketing tugs at us from every screen, and even free cellphone apps support themselves with distracting advertisements, it’s easy to get caught up in gift giving and spend more money than you can afford. Valentine’s Day, with its blatant message, can feel fraught with landmines. Did you do enough? Will a card be sufficient, or must you buy a diamond, plan a getaway or otherwise wow? Money doesn’t prove love, and a gift from the heart can be free. 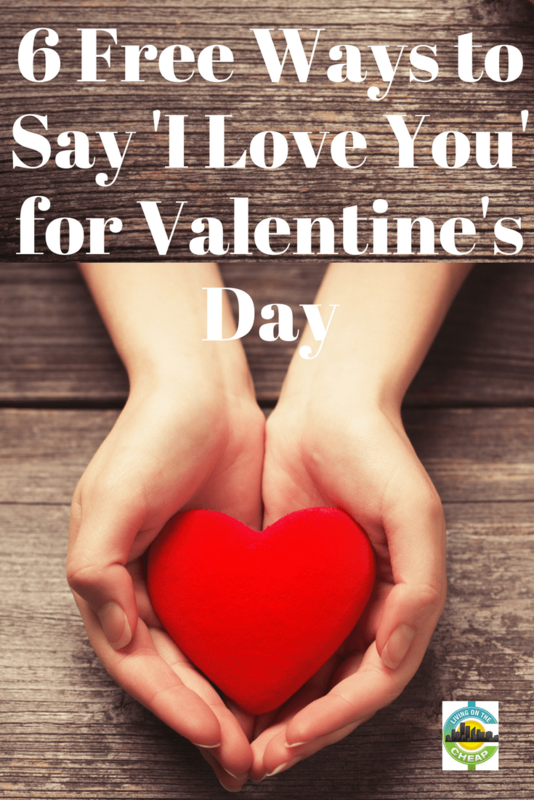 Here are six ways to demonstrate love without breaking the bank. Plan a stroll down memory lane. Revisiting good times or considering all you’ve been through together can rekindle sparks, help couples connect or just be fun. Nostalgic “Memory Lane” may include a visit to a specific address or location, but could also mean looking through old photographs or videos. One Valentine’s Day, my husband and I took a walk on the beach. While a stroll in the sand can be romantic, the activity took us back to all the beach walks we took while dating. We relived our earliest times together and shared special moments we remembered from those times. Think back to your earliest dates, the place you met and the events you attended. Share a specific memory: something your lover once said or did that surprised, flattered or made you laugh. Good memories are fun to recall. Thanking your lover for a specific action or a few small words uttered long ago shows how much you truly value him or her. Petals from heaven. Don’t go to the florist; you can find great bargains in the supermarket. But take them out of that cellophane bag and get creative. 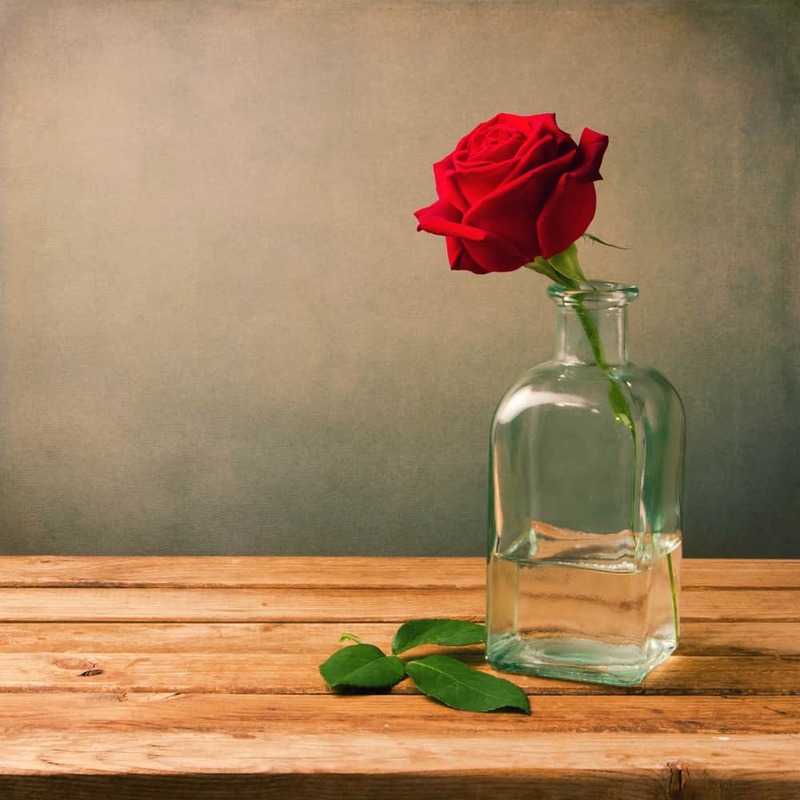 One perfect rose and a sprig of baby’s breath can look gorgeous in a slender vase. Or group single blooms in a mishmash of holders that have a common color scheme. Better yet, place vases in different spots for your loved one to find throughout the day. Send a love letter. 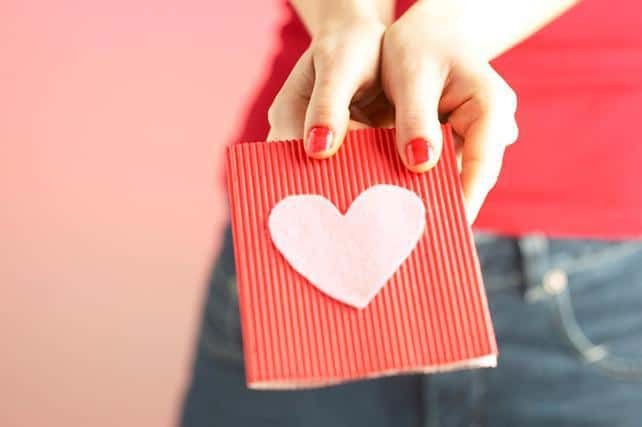 In today’s age of instant connectivity, an old-fashioned, handwritten love letter scented with cologne or perfume before being popped into the mail will have a big impact on your romantic interest. Though technically the price of a postage stamp, if you use one you have on hand, you can call this free. Too late for the mail? Consider penning a few sticky notes. A few loving words you think up and write yourself will go a long way in creating a loving atmosphere that carries on throughout the day and perhaps into the night. Grab the soap and leave a note on the bathroom mirror. One man emptied out the ashes from the woodstove and scattered them on the snow in the shape of a heart, and added a few Xs and Os for his wife to see as she looked out the window. Food is love. Spread a quilt in front of the fireplace (or the woodstove) and set up a picnic for two. What better day to bring out the good china? Present your meal as the five star restaurants do – which means, very little food on a very pretty plate. Five jumbo shrimp, a mound of fettuccini covered with marinara (use a coupon to buy that fancy jar of sauce you have always wanted to try), and three or four perfectly steamed stalks of asparagus will be easy on the eyes and the pocketbook. Breakfast in bed. Too bad there’s not always time off for Valentine’s Day, but even without that luxury, a cup of coffee or tea made just the way your sweetheart likes it and served in bed is a lovely way to start the day. Add a chocolate kiss, warm toast, an orange you’ve peeled, a few grapes or a box of raisins. A few minutes invested makes you loving and loveable first thing in the morning. Sweet things. Dessert can be simple but stunning. Dip a half-dozen extra-large strawberries in melted semi-sweet morsels, or cube pound cake and serve with chocolate fondue. Granny Smith apple slices with a dollop of Nutella can cleanse the palate. Chocolate rules on Valentine’s Day, so even a few kiss-shaped candies on a plate can speak volumes. Rock your relationship. If you’re open to the idea, you’ll be amazed at how many heart-shaped rocks you’ll see. Find one and give it to your Valentine instead of a card. Be open to other shapes too. Whether heart-shaped, pinkish in color or simply pretty to look at, a small rock can provide a lasting touchstone that’s kept on a desk, on the night table or tucked away in some private spot. In the movie Something’s Gotta Give, a single dark stone in a bowl of white ones represents the one-in-a-million Diane Keaton has found in Jack Nicholson. You might do something similar with an unusual stone you present nestled in a dish of monotone aquarium gravel or with a note. The rhythm of love. Collect favorite songs and play them as background music. Include music that has meaning to both of you – don’t forget your own special song. Burn a CD and create a unique label as a memento for your loved one. If you are a musician, compose a simple song to play after dinner. Roll up the sheet music, tie with a bow, and present as a gift. Take a drive and park. Pack a light dinner or some snacks and head out for a drive. Park where there’s a view of the ocean, sky or some place that’s personally meaningful to your relationship. Enjoy a parked picnic. If you shared your first kiss in the car, relive the moment. If not, make new romantic memories. You can always hit the defrost button later if necessary. Bookmark it. Homemade gifts are always special. If your lover likes to read, use cardstock and a computer program to make a cute bookmark that declares your love. You could add a photo of the two of you, words from a famous love poem or one you write yourself. Perfection isn’t important. Cut out with fancy-edge scissors or punch a hole and add ribbon if you want. Or not. It’s the caring that counts.